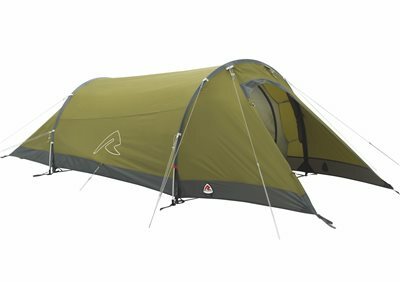 A popular tent with cyclists, trekkers and other lightweight campers, the simple tapered design of the three-season voyager 2 offers all the features and comfort required. Generous internal space and a good sized porch make for sleeping comfort for two as well as day-to-day functionality on the trail. The twin-hoop tunnel tent pitches quickly and easily, making it the ideal shelter for self propelled travellers at the end of a hard day.